Orbital ATK has successfully launched 10 satellites for Planet, formerly Planet Labs, with its Minotaur C rocket from the Vandenberg Air Force Base in California, US. 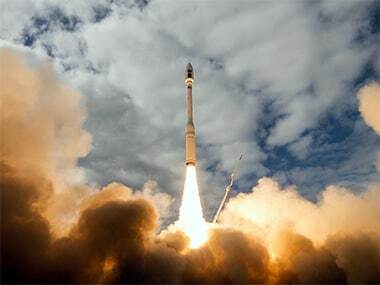 The Minotaur C took off at 3:07 AM on 1 November, and after a little more than 12 minutes, started releasing six Planet SkySats one at a time in a Sun synchronous orbit 500 kilometers above the surface of the Earth. The six SkySats were the primary payload, and four Dove satellites were deployed shortly afterwards. The Minotaur C lifting off. Image: Planet. Rich Straka, Vice President and General Manager of Orbital ATK’s Launch Vehicles Division said, "It’s an honor to deliver reliable and affordable access to space for commercial customers like Planet. Launching small- and medium-class payloads on dedicated Orbital ATK launch vehicles gives commercial customers the ability to control their schedules while meeting challenging mission requirements." The Minotaur C was flown in a configuration with four commercial motors, the Castor 120, the Orion 50S XL, the Orion 50 XL and the Orion 38. The launch brings up the total count of Dove satellites in orbit to 275, which together collect more images of the Earth every day than any other commercial constellation. The SkySat constellation now has 13 operational spacecraft, which forms the largest fleet of commercial sub meter resolution imaging satellites. The images gathered by the Dove and SkySat constellation is available to businesses, governments and NGOs around the world. ISRO's record setting PSLV-C37 mission in February this year, with 104 satellites on board had 88 Dove satellites from Planet.